All ZB Group metal shredders are completely modular with upto 360 different configurations to enable Blue Fuchs to offer you the right solution for your specific requirements. ZB Group design, manufacture and commission scrap metal mobile units for processing from 10tph to 40tph with units with upto 2000 HP. 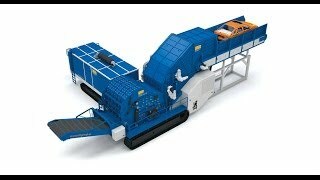 Capable of processing whole cars, all ZB mobile shredders can comprise of the following components: - feeder, shredder mill, magnet system, output conveyors and the powerpack. All mobile systems can be configured to treat all types of metals through complete processes of shredding, cleaning, separation and classification of the different ferrous and non-ferrous materials.